Our personnel has long-term experience and connections necessary for marketing fishery products in the states of CIS. The main buyers of our products are companies of food industry and wholesale chains - stable quality and timely delivery of the products are really essential to them. Frozen herring in 30 kg carton boxes. Thanks to thoroughly developed logistical processes and definite quality control we are able to offer accuracy in delivery and stable quality of the products. The largest wholesale buyers of RF Grupp products are companies in Russia and Ukraine. We have all the veterinary certificates, necessary for selling products on those markets, but in addition to that we are completely familiar with the trade practice and business style of those countries. Our long-term clients especially appreciate our accurate and businesslike communication with them. Trustworthy personal relations and stable quality help our clients to manage their large product flows more confidently and with lower risks. Companies that appreciate stable and definite quality of products are welcome to become our clients. We prefer long-term relationships - that way we can implement the logistical possibilities developed thoroughly during many years and offer definite and trustworthy quality control in all the stages of product processing and transportation. 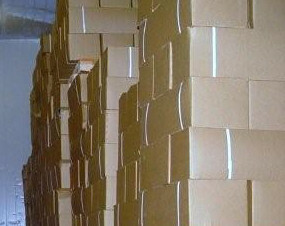 Frozen herring in 30 kg carton boxes. Thanks to thoroughly developed logistical processes and definite quality control we are able to offer accuracy in delivery and stable quality of the products. The largest wholesale buyers of RF Grupp products are companies in Russia and Ukraine. We have all the veterinary certificates, necessary for selling products on those markets, but in addition to that we are completely familiar with the trade practice and business style of those countries. Our long-term clients especially appreciate our accurate and businesslike communication with them. Trustworthy personal relations and stable quality help our clients to manage their large product flows more confidently and with lower risks. Companies that appreciate stable and definite quality of products are welcome to become our clients. We prefer long-term relationships - that way we can implement the logistical possibilities developed thoroughly during many years and offer definite and trustworthy quality control in all the stages of product processing and transportation. Our personnel has long-term experience and connections necessary for marketing fishery products in the states of CIS. The main buyers of our products are companies of food industry and wholesale chains - stable quality and timely delivery of the products are really essential to them. Frozen herring in 30 kg carton boxes. Thanks to thoroughly developed logistical processes and definite quality control we are able to offer accuracy in delivery and stable quality of the products. The largest wholesale buyers of RF Grupp products are companies in Russia and Ukraine. We have all the veterinary certificates, necessary for selling products on those markets, but in addition to that we are completely familiar with the trade practice and business style of those countries. Our long-term clients especially appreciate our accurate and businesslike communication with them. Trustworthy personal relations and stable quality help our clients to manage their large product flows more confidently and with lower risks. Companies that appreciate stable and definite quality of products are welcome to become our clients. We prefer long-term relationships - that way we can implement the logistical possibilities developed thoroughly during many years and offer definite and trustworthy quality control in all the stages of product processing and transportation. Our Clients Our personnel has long-term experience and connections necessary for marketing fishery products in the states of CIS. The main buyers of our products are companies of food industry and wholesale chains - stable quality and timely delivery of the products are really essential to them.